For me, this is probably the one post that I could see myself updating a number of times in the next few months. There are so many wonderful Korean Americans that I’ve met in my time in Korean American culture. But I have met some Korean Americans that are truly fake and horrible people. If I had to sum up what this post will be about, It will deal with how judgmental a number of Korean Americans that I have been around are. Not everyone will agree with me. A lot will depend on who you’ve been around and where you’ve lived. But it’s my site, my blog and based on my stories. So here is my take on what I don’t like about Korean American Culture. You may notice the trend of me separating Koreans and Korean Americans. For me, I’ve seen a difference in how Koreans people in Korea act, and how Korean Americans act. Sadly, I’ve seen a lot of Korean Americans who openly hate Korean people that live in Korea. When a Korean person moves to the states from Korea,they are sometimes called FOB’s or even are shunned by some Korean Americans. Some Korean Americans that I know call Korean people from Korea an “embarrassment” for not knowing how things are done in the U.S. right away. While I have heard stories of Korean Americans being looked down upon by people when they go to Korea, the level of open hatred that some Korean Americans have towards Koreans is absolutely shocking. Sadly, some Korean Americans have looked down on other Korean Americans for not making a certain amount of money (I actually had a Korean American tell me how happy she was that her friend left her husband because he wasn’t making enough money to keep her happy) , because they don’t drive an expensive luxury car (I’ve been to Korean events where the parking lot looks like a BMW dealership, and to some people those cars are not were cheap), or were being mocked because their family problems became known to other people. It saddens me to see think of how many of my friends have been driven to move somewhere else because they were shunned by people who were their friends until something happened to them. In a number of areas of in the U.S. Korean Americans have had a long standing reputation of being kind towards other who are not Korean. This is actually part of traditional Korean culture. So it was somewhat shocking to see just how racist many Korean Americans that I’ve come across are. 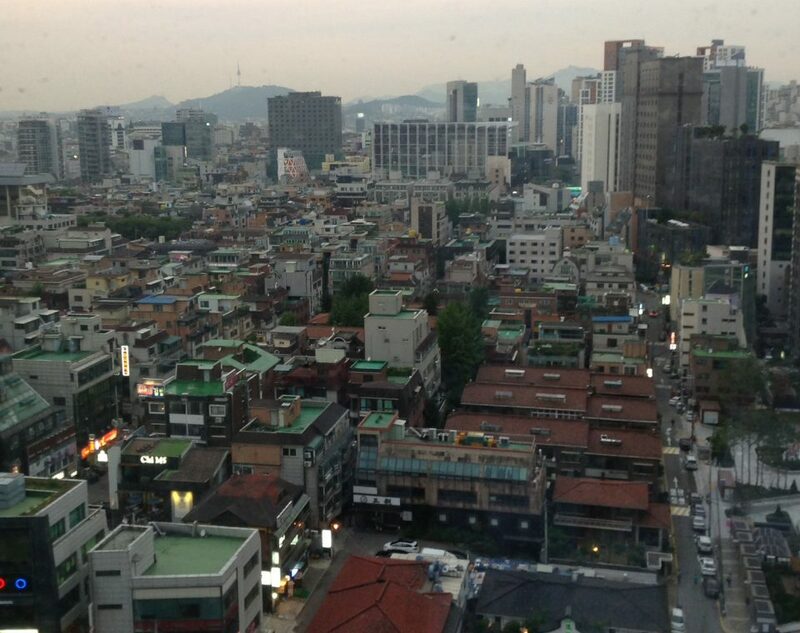 For some of these Koreans, it’s more that they seem to live in a bubble where everyone is Korean. Because of this bubble, I’m hearing more and more stories of people who feel rejected by the Korean American community because of not being Korean American. The complaints that I get about this rejection are mainly from darker complected Black and Hispanic people. Somehow, I’ve never heard this complaint from a White person, or from lighter complected Black and Hispanic people. It’s sad that many people feel that the darker a person’s skin is, the less likely they’ll be embraced by the Korean American community. The only thing that gives people some since of hope is knowing that the same Korean Americans that are judgemental towards them are also judgemental toward other Koreans as well. To be fair and honest, these issues happen in all communities in America. Prejudice is everywhere, and more people feel open to express their hate for others as never before. And clearly, not all Korean Americans act in this way. But in my dealings with others, I’ve seen these things happen more in the Korean American community than I have in other communities in the U.S. The notion that some people are “pure Koreans” while others are not is sad. You cannot be against discrimination, but then practice of it as well. This leads to the question of what exactly do I like about the Korean American community? Why do I continue to do things with the Korean American community? I’ll answer that question next week.